Online art gallery featuring original art, photography, prints, frames and forever gifts for all budget levels. We help you find affordable art and show you how to hang it. Founder Karen Mayer utilized her lifelong artistic passion and skills to become a purveyor of Canadian fair trade artwork to residents, corporations and the design trade, establishing SavvyArt Market. "Fair trade" because real artists get paid. 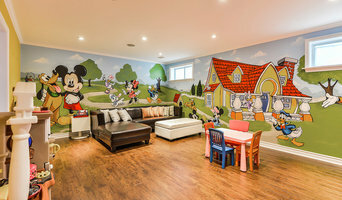 “Marg brings inspiring and original art into your home through customized murals, decorative painting, and unique room design." 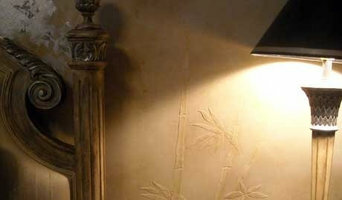 Murals and Decorative Painting: including hand painted wallpaper, silver, bronze and gold leaf, Venetian Plaster, metallic and shimmering plaster and metallic finishes. Original & Unique Design solutions. One of a Kind solutions, for one of a kind clients!! Cheques, Visa, MasterCard and American Express accepted. Up the Wall offers custom painted wall murals, specialty paint finishes and artwork for residential and commercial establishments. Trained artist Michelle Wenger, has been creating murals and commissioned artwork in Canada and Europe for over seventeen years. Up The Wall offers complete digital renderings of all designs before a brush ever touches the wall. In2walls specializes in decorative and unique metallic coatings for walls, floors, tables/bar tops, abstact artwork and furniture as well as old world and contempary plaster finishes for commercial retail and residential applications. We have also added to our tool box, an array of unique assortments of backlit translucent Onyx panels, accented with our Metallic Metallium aluminium panels, along with other natural thin stone panels. We turn ordinary into extraordinary. 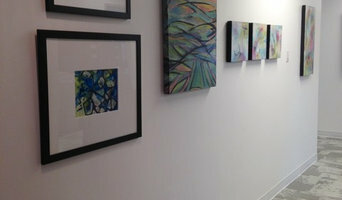 An original collection of Fine Art from Toronto based artist Joanna Aplin. I am an artist living and working in Toronto, Ontario, Canada. I specialize in creating non-traditional portraits and large square abstract pieces. I seek to emote using vibrant, expressionistic colour and texture. Working side by side with my clientele, I work with custom sizing and colours, dependant on what is required. Canvas Gallery is a vibrant visual arts venue with a constantly changing inventory of about 1,200 original works by more than 120 established and emerging Canadian artists. Abstract art prints on aluminum and wall designs for living space and offices. World wide delivery. Custom designs and wall design consulting. Upcycled Lighting & Decor. Not your average recycling. Start a conversation with your decor. Each piece of handcrafted furniture & lighting has an origin story as unique as you. Our philosophy for design is simple – collect wasted materials and turn them into objects of curiosity, style & functionality for your space. Unique upcycling and creative design. Creating bespoke lighting, wall art, signage and furniture from a mix of recycled and new materials. Venetian Studios is a unique and innovative decorative paint, plaster and vérre eglomisé studio. We are delighted that our reputation for artistry and project quality gives us the opportunity to take on many creative projects across Canada and abroad. 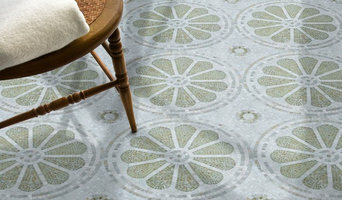 Suzanne has extensive experience in both high-end residential and commercial surface design. Suzanne's finishes combine a flair for both colour and perspective that sets her work apart and gives her clients the "one of a kind" look they desire. She only uses top of the line professional products and they are both durable and easy to maintain. Personal attention, from design concept through installation, is a hallmark of Venetian Studios. Suzanne will personally monitor every aspect of your project through completion. A few extra steps often make a big difference and Suzanne will ensure that when your job is complete it will exceed your expectations. Venetian Studios is fully insured and WSIB compliant.